Blue-green algae is a form of bacteria that is basically seaweed. Below you will find images of green algae and blue-green algae captured under a biological microscope at various magnifications. 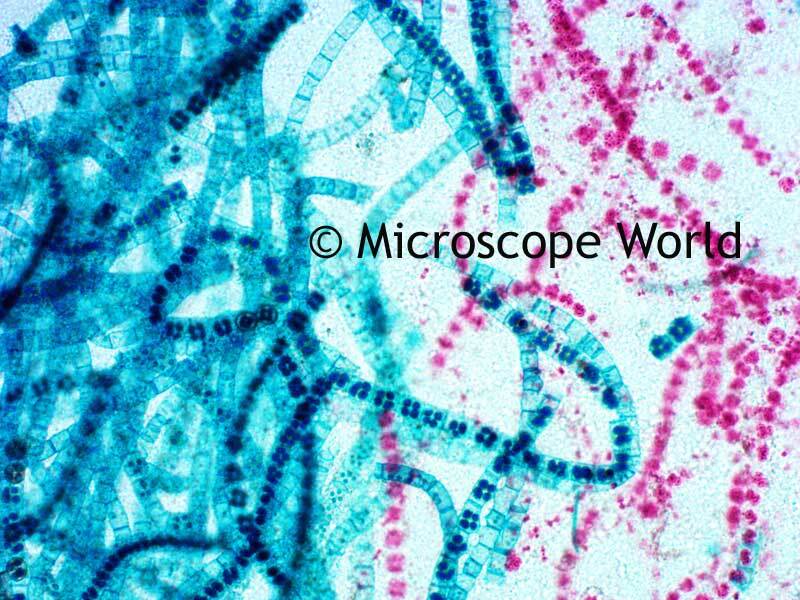 Green algae captured at 40x magnification. 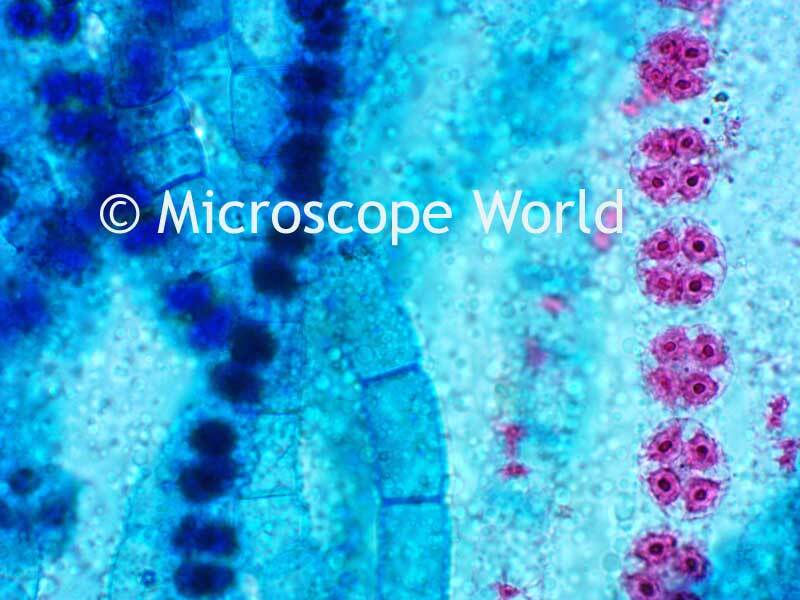 Blue-green algae captured under the BA310 microscope at 400x magnification. 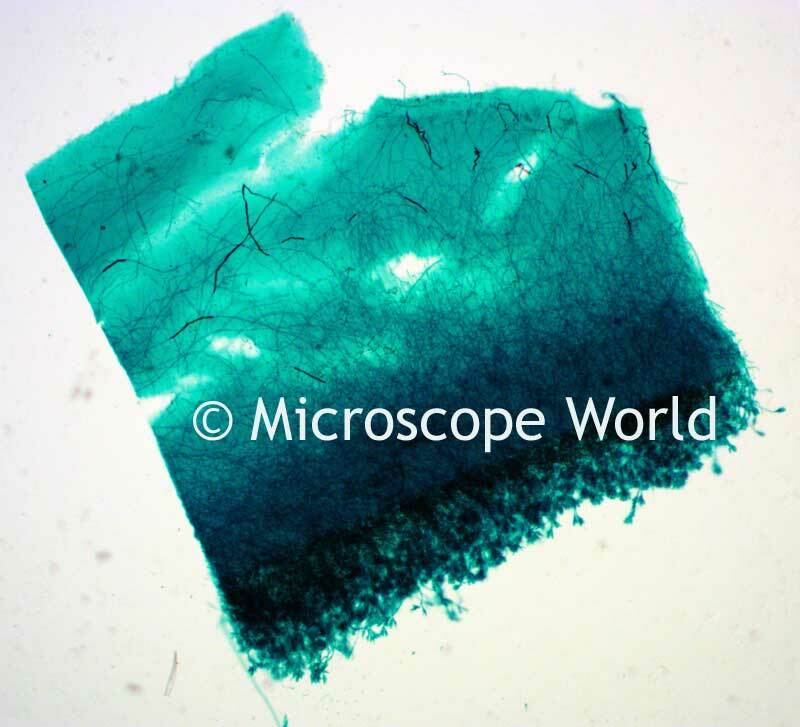 Blue-green algae captured under the BA310 microscope at 1000x magnification. You can learn more about algae research here.